A free roof inspection and a free quote for any work required should be a part of the service all roofing companies offer. Recently one of our customers told us this story. She’d noticed a part of her roof’s guttering had come loose during the last lot of storms and the rest of the roofing and guttering was looking quite worn out. So, she’d contacted one of the ‘very well advertised’ roofing companies to arrange for them to assess what work was required. The company needed to check out what damage had been done, see if the roofing and guttering required updating and replacing, and give a written quote for the work. The bright, young person she spoke to very cheerfully scheduled an inspection for the woman’s roof guttering, and it seemed like everything was organised. ‘Well, we have to cover our costs,’ she was told. Fortunately, our customer cancelled the appointment and called us. And this is not an isolated case. No longer are free roof inspections and free quotes just a part of the service all companies offer. It seems that with all the building happening around Melbourne at the moment, a few unscrupulous roofing companies are finding ways to make their profits even higher. It is more likely that after paying the fee for the inspection, prospective customers will feel locked in and more likely to accept the quote, even if it is overpriced. We are not sure if it’s legal to charge a fee for a quote or not, because our roofing company would never consider charging for a roof and guttering inspection or quote. Reputable companies, who have offered competitive and reliable roof restoration, guttering replacement and full roof replacement, for a very long time, always offer a free roofing inspection and free quote. 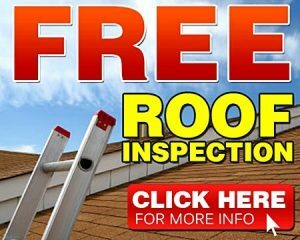 We understand that a free roof inspection and a free quote is just a part of our service. Consumer Affairs Victoria always suggests getting three quotes for any building work you’re planning. They also warn to be wary of accepting the ‘cheapest’ quote because there may be hidden costs, or the work carried out could be dodgy. News.com recently published this concise 6 point plan on how to find the best tradesmen for your job. We recommend you follow their recommendations. do they offer a free roofing inspection and a free quote.